A survey of leading waste producers has revealed that good, old-fashioned customer service is their key consideration when deciding who to appoint as their waste management provider. It far outstripped attributes such as recycling rates and investment in technology, which are increasingly used as positive ‘green’ marketing messages by waste management companies. It was even well ahead of price. The on-line survey, carried out by independent waste managers Cleansing Service Group, asked over 100 companies to rank 15 issues in order of importance when choosing a provider. They ranged from communication to technical knowledge, and quality to emergency response skills. 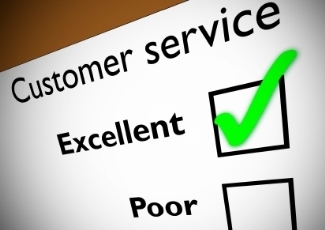 Customer service topped the poll, with 97 respondents saying it was ‘very important’ to them. Communication, compliance and reliability took the next three places. The importance of the price quoted for waste management services ranked at No.6 on the list, beaten also by a demand for quality. Only 41 respondents thought a waste management company’s recycling rates were very important, placing it at 12th in the rankings, while investment in waste recovery technology and an open site policy came in at 14th and 15th. CSG group business development manager Mike Wilson said: “The survey shows there is a wide range of factors of importance when a customer comes to purchase, but surprisingly perhaps, price does not top the list and service stands out as the most important consideration.